Humble are taking a brief break from selling game collections for a fortnight. Instead, the latest bundle is focused on Crytek’s Cryengine, and contains packets upon packets of pre-built assets. If you’re planning on building a game in Cryengine, for just a few dollars you could have everything you need to create a world. One of the very best FPS games was made with Cryengine. The ‘pay what you want’ tier of the the bundle includes plants, trees, props, textures, a prototyping kit for making urban environments, and motion capture data for FPS animations. That’s certainly enough to get a small project going. Pay more than the average (currently sat at $11.13) and you’ll pick up some audio sound effects and music tracks, vehicles, some city props, weapons, animals stolen from Crytek’s Ryse game, and a starter pack to help make racing games. Oh, and you’ll also get a copy of Nexuiz to play when you’re not hard at work creating the next big-hitting indie. 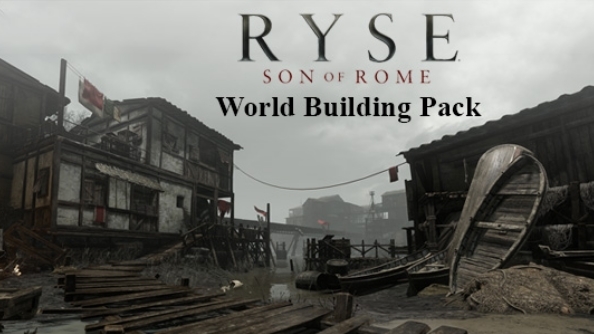 $13 or more will guarantee you a survival game starter pack, and the Ryse world building and Roman packs, should you have that time period in mind. There’s also further folders full of high-quality vehicles, city props, and characters. Are you getting into indie development? Are these assets just what you need to help get a project off the ground? If they are, don’t hang around: the Humble Cryengine Bundle is only available for another thirteen days.